For a full view of our partners go to each one, under the ”our partners” dropdown list. Citizens of the Great Barrier Reef is a social movement we can all be a part of. If you are passionate about the future of our amazing world heritage icon, you can become a “Citizen” too. Spearheaded by Earth Hour founder, Andy Ridley, and now CEO of Citizens of the Great Barrier Reef, the mission is to engage a worldwide community to support positive action for the future of the Reef and the planet. Environmental issues are global and we can all make positive changes, no matter how small we may feel our actions may be. It could be as simple as choosing energy efficient products, decreasing our use of plastic bags or helping to improve water quality by being aware of what goes into our waterways. This may be as simple as choosing biodegradable and phosphate-free cleaning and household products. As an individual we may not think our actions worthwhile, but collectively, we can all make a difference. The International Union for Conservation of Nature (IUCN) is a membership Unionuniquely composed of both government and civil society organisations. It provides public, private and non-governmental organisations with the knowledge and tools that enable human progress, economic development and nature conservation to take place together. Created in 1948, IUCN has evolved into the world’s largest and most diverse environmental network. It harnesses the experience, resources and reach of its 1,300 Member organisations and the input of some 10,000 experts. 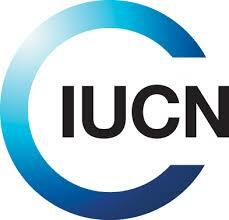 IUCN is the global authority on the status of the natural world and the measures needed to safeguard it. Our experts are organised into six commissions dedicated to species survival, environmental law, protected areas, social and economic policy, ecosystem management, and education and communication. The Marine Research Foundation is a non-profit research foundation based in Sabah, Malaysia and incorporated under the Trustees (Incorporation) Act 1951 Cap. 148. MRF was set up to further the understanding of marine ecosystems and functions, and conserve the abundance and diversity of marine flora and fauna through research, conservation and education activities.